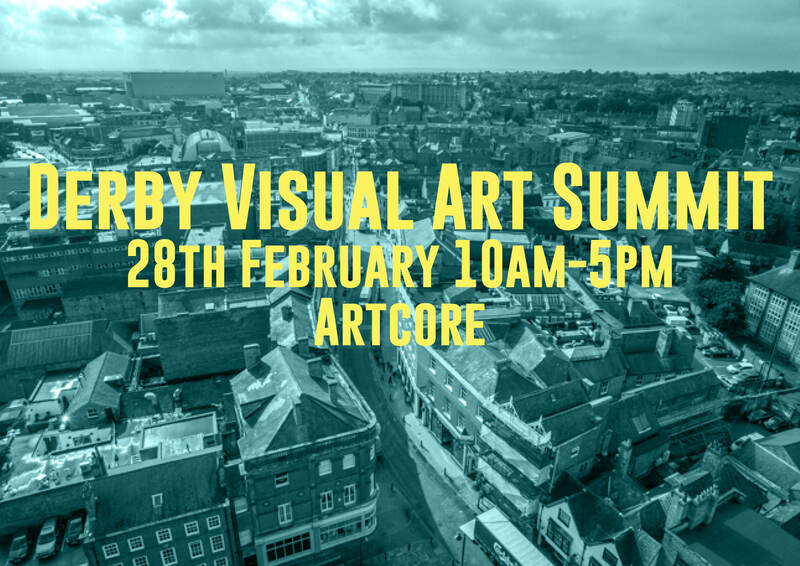 You are invited to attend The Derby Visual Arts Summit on the 28th February 2019 at Artcore, 3 Charnwood Street, Derby, DE1 2GT. The Derby Visual Arts Summit features two free events: Give me a place to stand and Artists Housing Design Charrette. You can attend either one or both of the events on the 28th February 2019. Places are limited so register now! The registration deadline is 5pm on the 25th February 2019. Give me a place to stand will enable you to share your experiences and views, network and hear more about Derby’s emerging Culture Strategy, the work of Contemporary Visual Arts Network East Midlands and Artcore’s development plans. Viviana Checchia, Public Engagement Curator at the CCA in Glasgow will discuss place making and public engagement in the arts. The Artists Housing Design Charrette will enable you to work with Heather and Ivan Morison to explore what an artist’s house in Derby could be through discussion and model making. Heather and Ivan Morison, Liam Gillick and Jasleen Kaur are part of the Artists Housing Prototype Show, which will be exhibited at Artcore from the 31st January to the 1st March 2019. The exhibition will feature new ideas and designs and will propose that an Artists House is a home, workspace and public artwork in one powerful combination. The Derby Visual Arts Summit is supported by Artcore, Contemporary Visual Arts Network East Midlands, University of Derby and Derby City Council. Artcore in partnership with Format Festival 2019 would like to invite you to The Institute of Reminiscence exhibition by Mariano Doronzo and Olivia Punnett.